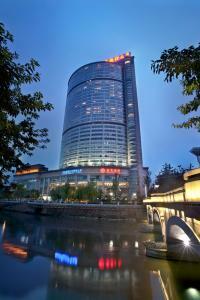 Great location in Chengdu and excellent value for money. Staff were always helpful. The gym was really well equipped. Bed was comfortable. Restaurant was mediocre, but affordable. The staff is friendly. Location is not bad, 20 mins walk from chunxi road. The apartment we stayed in was big and comfortable! We enjoyed our stay very much with awesome view of the city! Overall comfortable stay, no major issues, cleanliness on the whole was good. About 8min walk to the metro. Otherwise location is near enough to town. After a heavy mountain itinerary it was nice to have a more luxurious accommodation for a few days. In line with its name, Somerset Riverview has a nice riverside location. Apartment was spacious, furnishing and decor of a high quality. Very good location, close to the city center. Spacious room with washing machine and kitchen. I will come back again. Suite was spacious and modern. Extremely comfortable beds. Good size kitchen with plenty of equipment. Washing machine and dryer (although could not operate the dryer) in room. Breakfast was fantastic, many options of Chinese and western style food on offer. Great property, we had a 2 bedroom apartment and it was fantastic quality and layout. Very clean and comfortable with great views of city from 31st floor. Kitchen was good and used the washing machine and dryer. Best accommodation we had all trip would recommend. 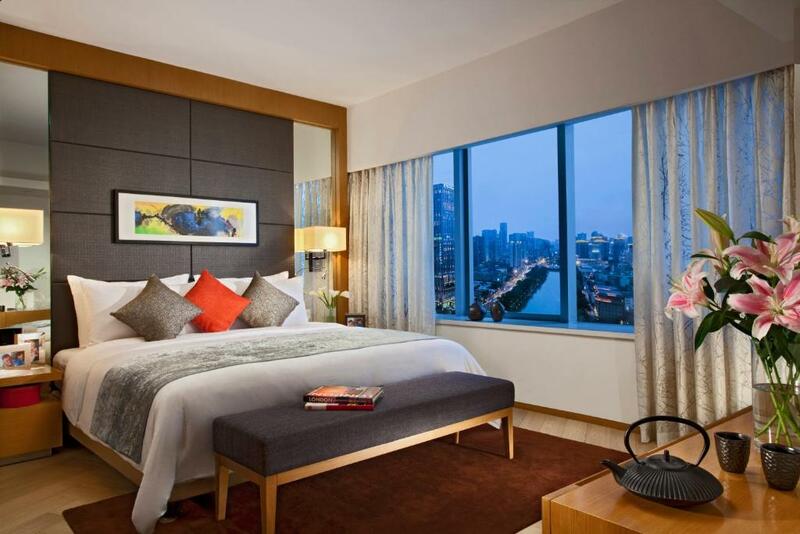 Lock in a great price for Somerset Riverview Chengdu - rated 8.5 by recent guests. 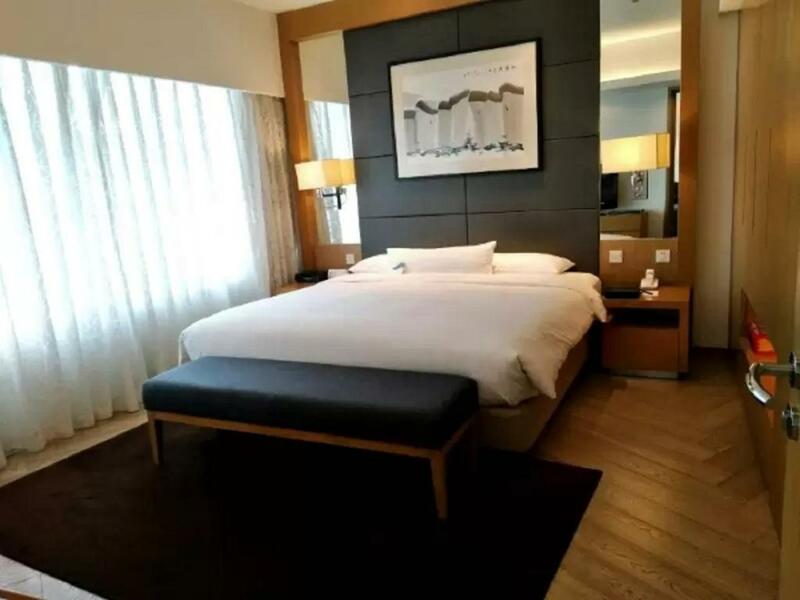 One of our top picks in Chengdu.Situated along the Jinjiang River, Somerset Riverview Chengdu offers serviced apartments with excellent river view. It features a fully-equipped fitness room, lounge and rooftop garden with barbecue area. 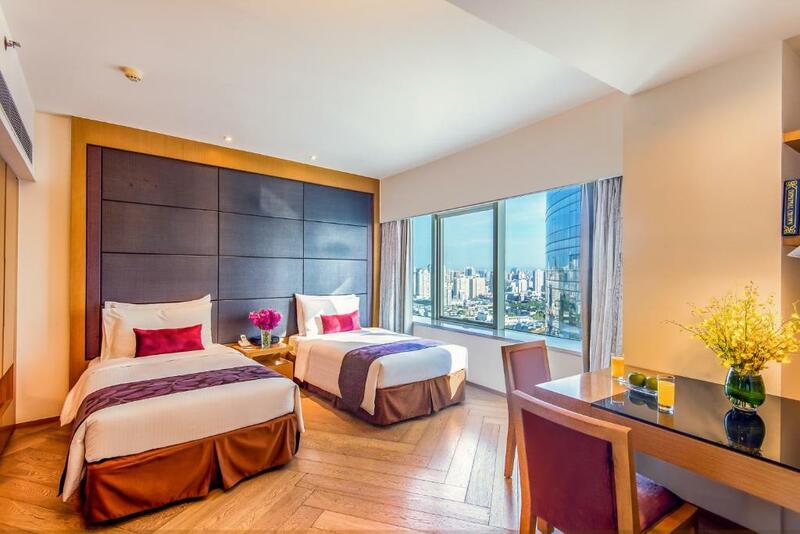 Somerset Riverview Chengdu is a short 5-minute walk from Huaxiba metro station on Line 1. Popular tourist attractions including Chunxi Road, TAIKOO LI and Kuanzhai Alley are within 15 minutes' drive of the property. Chengdu East Railway Station can be reached in 25 minutes by car. Somerset Riverview Chengdu is a 27-minute drive from Chengdu Shuangliu International Airport. Each air-conditioned apartment at the Somerset Riverview includes a satellite TV, DVD player and an electric kettle. Well-equipped kitchens come with a refrigerator, microwave and electric oven. Bathrobes, slippers and free toiletries can be found in the private bathroom for your comfort. Guests can work out in the fitness centre, have fun in the swimming pool, or relax in sauna and steam rooms. Other recreation facilities include a snooker, table tennis and a yoga studio. Free shuttle bus to popular tourist attractions and shopping malls is provided on weekends. Buffet breakfast is served daily. Wuhou is a great choice for travellers interested in spicy food, sightseeing and culture. This property is also rated for the best value in Chengdu! Guests are getting more for their money when compared to other properties in this city. 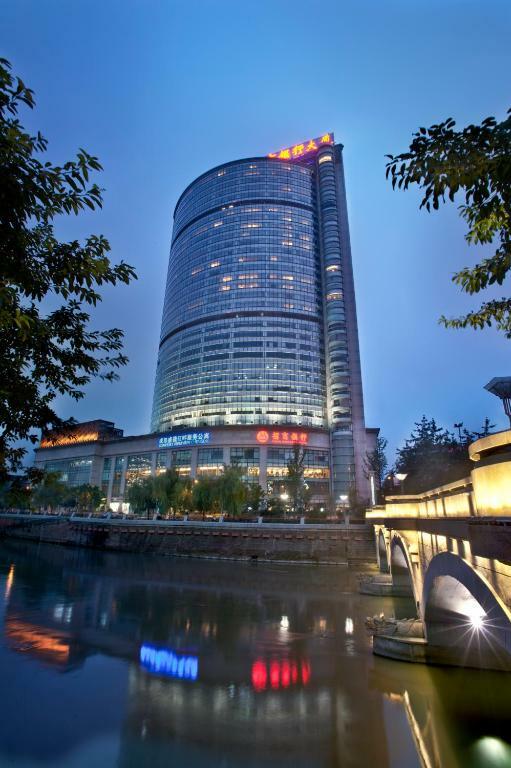 Somerset Riverview Chengdu has been welcoming Booking.com guests since 15 Apr 2010. 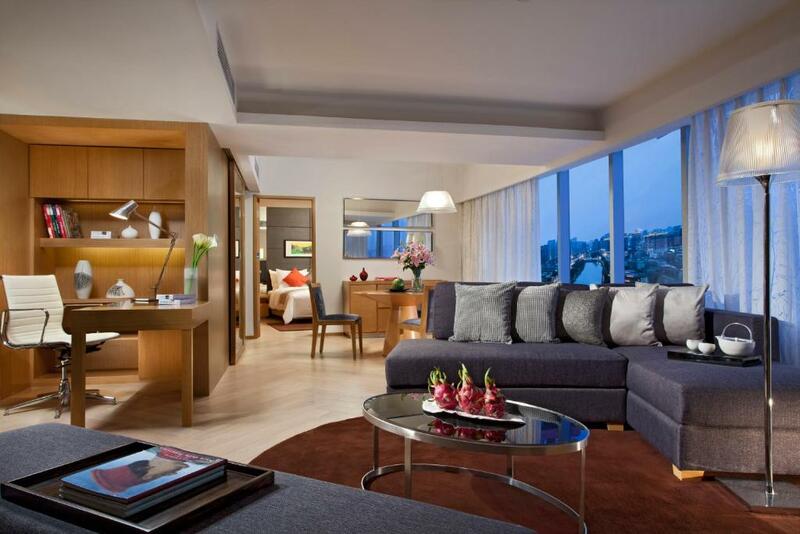 When would you like to stay at Somerset Riverview Chengdu? The apartment has 1 living room and 1 bedroom. Please note that room rates include breakfast for 2 guests. The apartment has a large living room and a bedroom. This large apartment has a spacious living room and a bedroom. This apartment has a cable TV, microwave and bathrobe. Please note that room rates include breakfast for 4 guests. This studio features a oven, air conditioning and DVD player. This studio has a bathrobe, toaster and DVD player. This twin room has a bathrobe and air conditioning. This studio features a bathrobe and air conditioning. 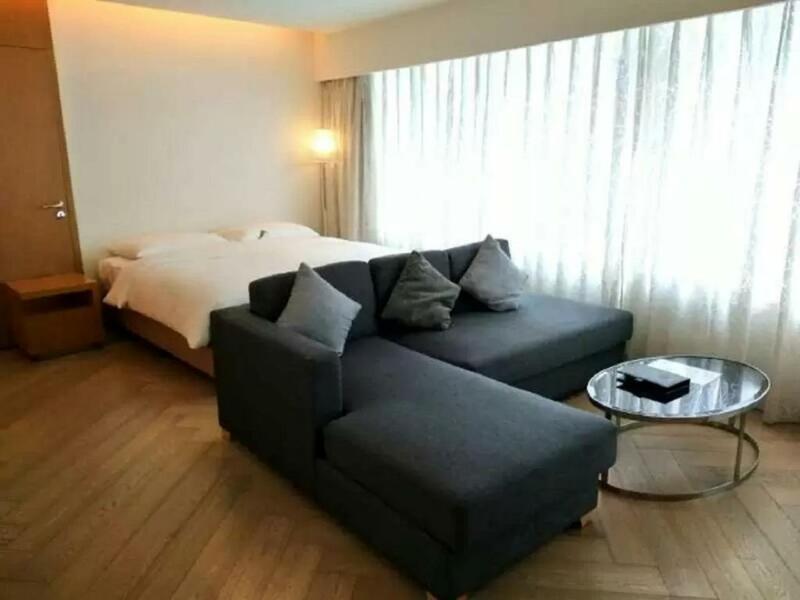 On the banks of the majestic Jinjiang River and just a short walk from the lively Tianfu district, the Somerset Riverview (Chengdu Shengjie Jiangpan Fuwu Gongyu) offers a range of serviced apartments, suitable for both long and short term stays. 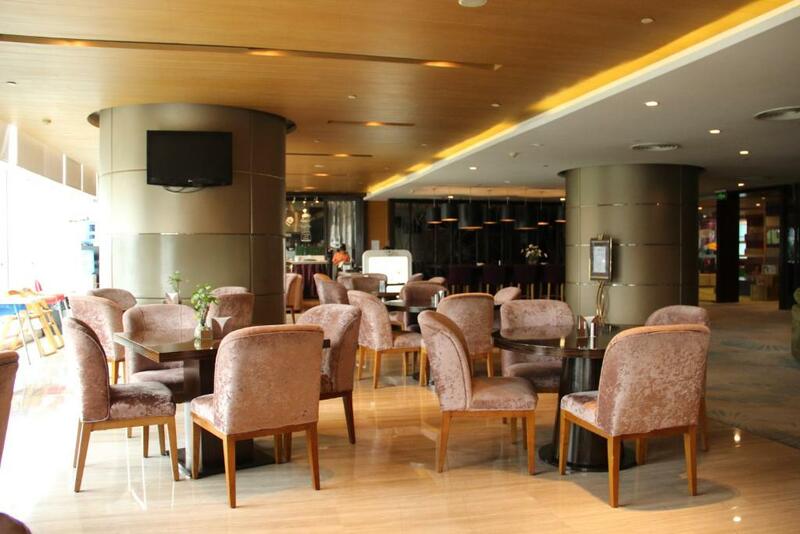 The hotel is just a short walk from Line 1 of Chengdu Metro, which offers easy access to the rest of the city. Chengdu East Railway Station is just 11 km (7 mi) away while Chengdu Shuangliu International Airport will take around 25 minutes to reach by car. Hungry guests can visit the on-site cafe, perfect for catching up with friends over a snack and a beverage. For those in the area on business a conference room is available on request. 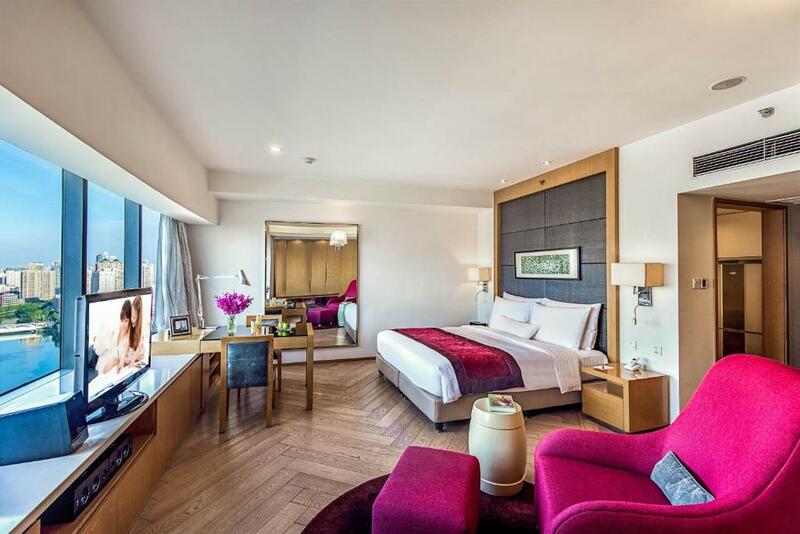 Guests at this Chengdu hotel enjoy free in-room Wi-Fi access as well as free parking. There are numerous options available for those who like to stay fit including a fully-equipped gymnasium, yoga/dance studio, boxing ring and an indoor swimming pool. Alternatively hit the sauna and steam rooms for something more relaxing, or simply visit the rooftop garden and gaze out at Chengdu. Property surroundings – This neighbourhood is a great choice for travellers interested in spicy food, sightseeing and culture – Check location Great location - show map Guests loved walking around the neighbourhood! House rules Somerset Riverview Chengdu takes special requests - add in the next step! Greatwall Somerset Riverview Chengdu accepts these cards and reserves the right to temporarily hold an amount prior to arrival. Somerset Riverview Chengdu accepts these cards and reserves the right to temporarily hold an amount prior to arrival. Value-added tax (VAT) will be implemented in China with effect from 1 May 2016. Should VAT be administered during the time of stay, guest will be liable to the payment of VAT rates applied to room and miscellaneous charges. Due to the renovation work, the property swimming pool is temporarily closed until 15 October 2018. The property apologises for any inconvenience caused. Room was a little bit tired, could do with a refurb/repairs. Staff didn’t speak much English. Breakfast was fairly average, could do with more choice and higher quality offerings. Good location, with easy access to areas of interest. Lots of room for family. Quiet and comfortable. The noise that the airco makes is too loud. The smell coming from the kitchen fills the whole building. The facility is a bit outdates. It took 20 mins for their computer to restart, even longer to start the program for printing invoice. The location is very convenient and the space is very comfortable!! Shower not fantastic. Air con doesn't warm room. We told them that we had already paid for the hotel but they insisted to charge my credit card. Now I'm being double charged. Location is a little off but taxi in China is affordable anyway. The breakfast was really poor. I saw a cockroach in a food section in the restaurant. Breakfast was just so so. Kitchen fumes were not properly exhausted from the cooking area. Kitchen fumes can be detected all over the building, including the guest room floors. Not a good experience.